What do you think of when you think of self-control? 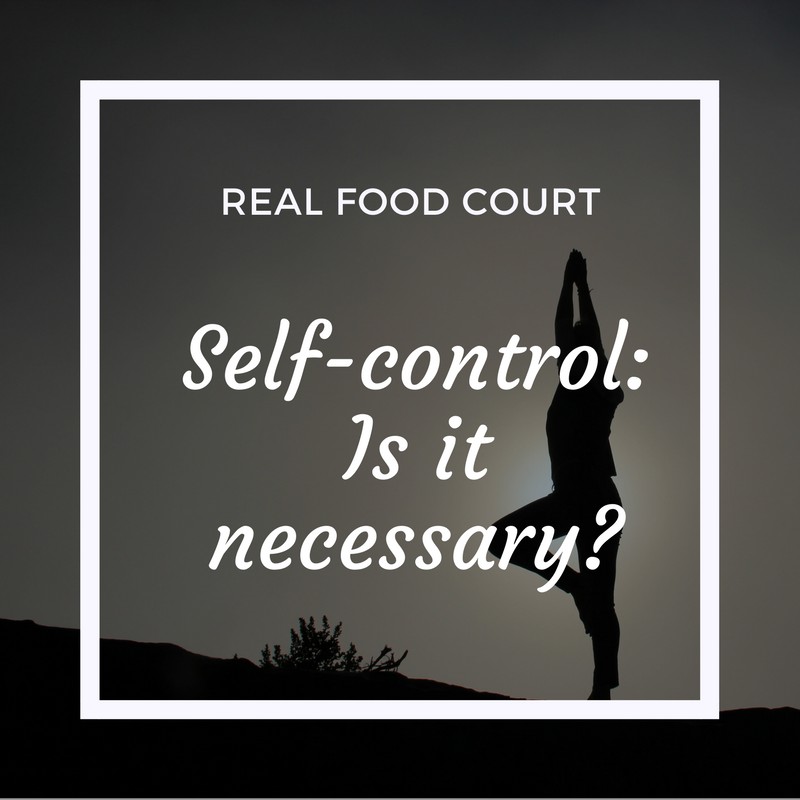 For a lot of us it's “I do/don’t have good self-control,” typically around food decision making. Consider this, according to Elizabeth Saunders, time management expert and author of the new book Divine Time Management, if you seek to change your body or shape by controlling aspects of your life then you are exhibiting self-control, which may not be serving you well. You are trying to fit a mold. I connected with Elizabeth after hearing her on a podcast. Her approach to time management is truly all encompassing of mind, body, and spirit. Her quote, which I used here, truly moved and changed me. After reading an advanced copy of her new book I was thrilled that she was able to chat with me about some of the concepts from her book, particularly around self-control. I hope you find this information as helpful as I did. Society and diet culture have made it the norm to try and control what you eat and what you look like. When you function in this way, Elizabeth says, you are no longer embodying yourself; you are not connecting your mind, body, soul, and spirit. She likens the self-controlling mind to a task master that whips your body into action. Your mind says you can’t sleep, you must exercise, you can’t eat that, etc. When you exhibit self-control you are not on the same team as your body. When you go at decisions from a place of self-love you find true happiness because, Elizabeth says, you are truly embodied. We can get so engrossed in our self-control practices that we believe they are self-love; we believe they are 'healthy' habits. If you are feeling guilt, frustration, or anger with yourself or your circumstances then perhaps your habits are more controlling than you realize. Are you choosing habits because of the pride wrapped around it? Do you judge others? This can be a sign of your own insecurities. Consider this - there are many ways to exercise in the range of healthy. If you get in your mind that you need to move your body in a certain way to be healthy than you are A) acting out of self control and B) not living your true identity. Elizabeth says that you need to choose something because it is right for you (and your available time! ), not because it is something you have to do to be okay with yourself. Do you feel healthy? Are you doing things you actually want to do? What are you putting first and does it align with your priorities? According to Elizabeth those answers provide the key to our identity. Elizabeth’s points really speak to my soul. I love that her approach to time management comes from a place of getting to know yourself first. Her words and concepts have helped me tremendously on my journey and I hope they help you. We had additional discussions about the idea of being busy, which I will have to share, so stay tuned for a follow-up post coming soon! In the meantime, you can find out more about Divine Time Management here and visit her website here. She can also be found on Instagram and Twitter. Share with me: What area of your life do you think you can loosen up on the self-control and find more self-love?